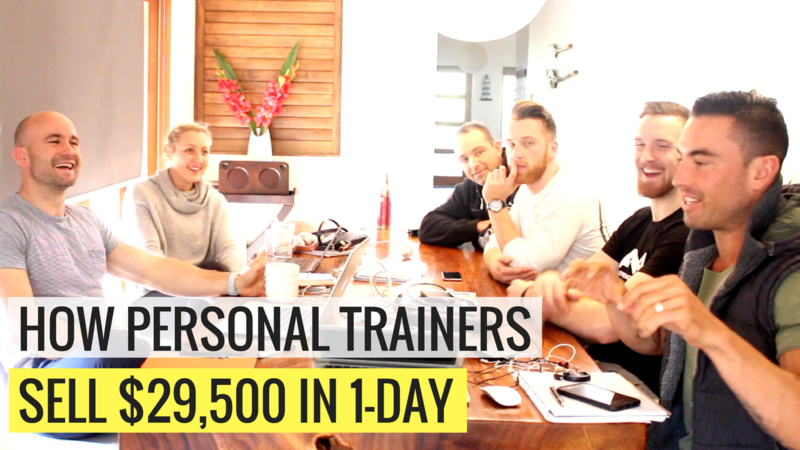 There is a REAL good chance that you’re Facebook and social media feeds are flooded with “Fitness Business Coaches”. And there is no doubt that there are more business coaches than you can poke a stick at. Are you frustrated with the empty promises and lack of help..? You can’t follow a cookie cutter plan. The way you coach your clients, where you are right now with your business, and where you want to take it is all unique to you. So why would a generic strategy or tactic be the answer to building the business you really want. 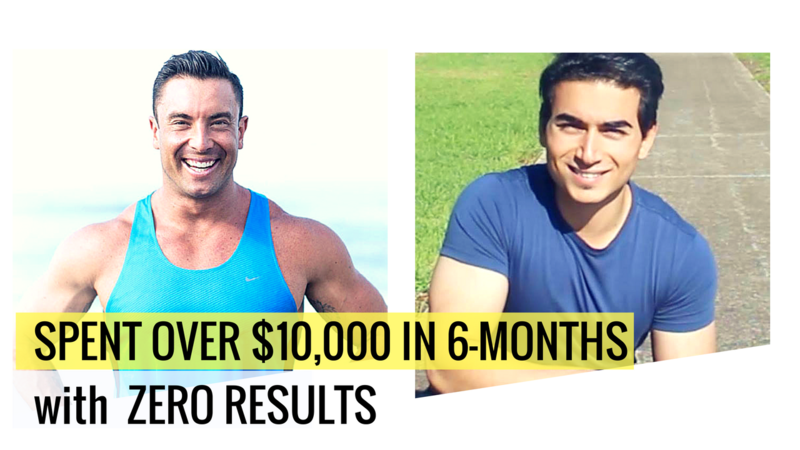 Fady spent over $10,000 in the past 6-months with ZERO results. How he is going to break the $100k a year income from taking action on the plan we have mapped out for him. There’s a good chance you’re feeling overwhelmed and confused where to even start. Or, are frustrated from working hard, yet not getting the clients to sign up. Especially if you’re tired from training clients all day long and know deep down that you want more for your future. The only reason I know this is because I was stuck in the “time-for-money” trap for years as a fully-booked personal trainer. Jumping into my car, and speeding how the Sheik Zayed road in Dubai. From the outside looking in, I was a successful personal trainer. 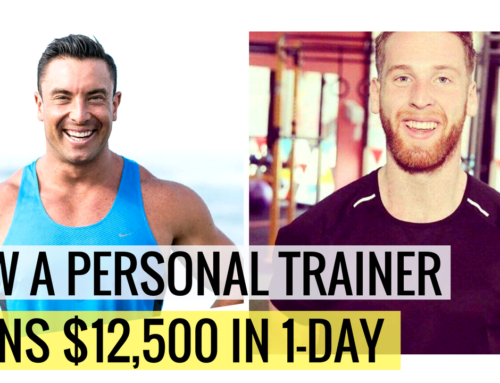 I had a personal training business with multiple trainers running in Sydney. And I had moved to Dubai, and was now fully booked again charging up to $250 an hour. But, I was doing 120 km/hr racing back to get home in time too give my daughter her bottle, so I can spend some quality time with her before she goes to bed. And when I got home, she was already asleep. This wasn’t the dad, husband and man I wanted to be. There is no way I want to keep running a business like this in 2, 5 or 10 years time from now. I wanted a business that allowed me to live and travel around the world. Spend quality time with my daughters and wife, and give us the freedom to live the lifestyle we really wanted. Not stressing about money or “where my next client is coming from?”. If this resonates with you… I want to tell you its perfectly fine. 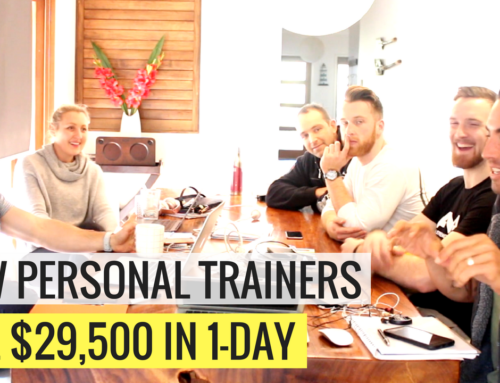 The traditional personal training business model is dead. The fitness world has changed, and its never been like this before. And what I am going to walk you through right now are the steps that have been proven not only myself, but from so many trainers and coaches around the world that I get to see create. From my home office here in Bali, I get to have the upper hand in seeing what’s working, and how to speed it up… It’s firstly from the mistakes and wins I have in my businesses that I can then share straight to you. This is the real world “whats working, right now”. From this in-depth guide, you’re going to have me walk you through the foundation that gets you having the exact type of clients you want to be working with coming to you, and having an online business that is set ups around how you want your life to look. Because quite honestly, without this important foundation, everything else you do online is a waste of time. 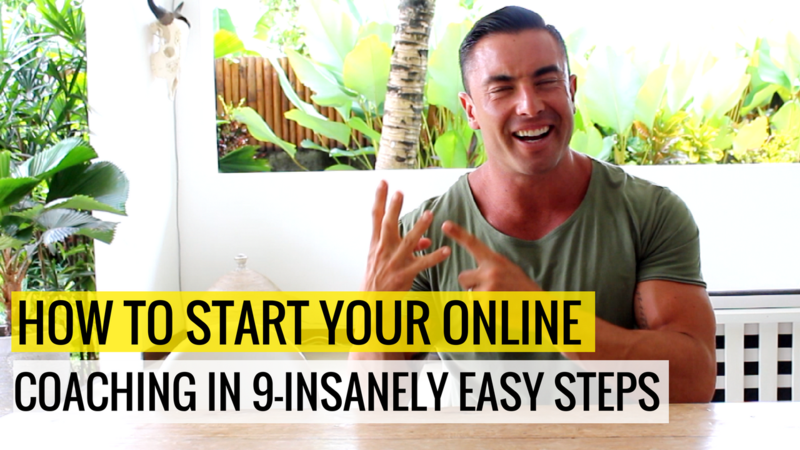 Right now, I am going to walk you through the specific 7 steps are that you need to implement, so that you can be signing on clients each week; in under 90-days. That’s a big promise I know. And I know you can have this success too, because this is exactly what coaches and trainers around the world are doing right now by simply following these steps. To get the full coaching session I just held with a group of coaches, that goes into the exact steps of these, get it HERE. This is where you need to grab your ‘cojones’ and take action on what I’m about to take you through. If you do ‘step up’ and take the committed action. Day in, day out being focused on just the few key things that matter to your business success. This is putting together the engine that constantly drives your business to have a bigger impact each day. I break this down into 3 categories; Attract, Convert, Deliver. We first focus on how are you going to attract your target market, the perfect group of people you want to be working with. Then we put together the simple systems that turns your followers into clients. This is the ‘conversion’ cog to the engine. And if you don’t get this right, you’ll be spinning your wheels for months, years or forever without getting the growth or success you want. Then we move to; Deliver. Where you combine your passion, experience and expertise into the program that gets your clients the best results and sets you up with a business that, gives you the freedom, income and impact you want. So if you’re; writing some blog posts, shooting a video now and then, trying out Facebook ads, posting on Instagram, starting a YouTube channel or trying all the ‘tactics’ that you’re bombarded with by gurus trying to give you the magic key… STOP. Here is some advice I wish I got earlier… You don’t have to do it all. In fact, you shouldn’t try. All you need to do, is just pick one strategy, one platform, one method for each of these. And this is what we can do right now. You need to put yourself int he position to be the “go-to” leader for this group of people. And you seperate yourself from everyone else and stop trying to compete against the online giants by layering into “who you really want to help”. Instead of helping people lose weight. You, become the fat loss expert for post-menopausal women. Or, you help dads get in the best shape of their lives whilst juggling work/family/life. You want to push away people. By choosing for example that you only work with dads. The content you produce, your message is not going to attract women. And thats a good thing. Don’t think that you’re losing out on potential clients by choosing a target market. Because if your trying to be “everything to everyone, you will become nothing to everyone”. Now, you can create your USP. Your Unique Selling Proposition. Which is just marketing mumbo-jumbo for; whats your unquietness? Why would someone give you their hard earned money over someone else? Then you can go into – What is it they exactly want? 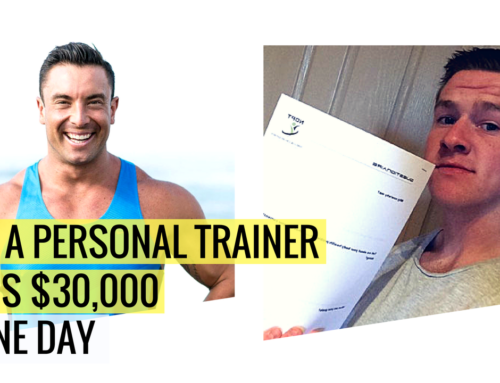 If you sign up into my fitness business guides, quiz or freebies I give away… There is one question I ask in the first email. And I’ve gotten 1000’s of replies now that are worth pure gold to me. Whats Your #1 Biggest Challenge When It Comes To Losing Weight? This answer gives the material I need to create exactly what I need to best serve my members. For you, you just need to find out there desired outcome. You can start today by asking all your current clients, reaching out to your followers and getting the feedback that is so important. Now, it’s time to stand out from all the noise. What is their ‘core’ message they are using to attract people. How are they trying to sell it? What content are they producing? How often are they publishing and on what platforms? Russell Brunson perfectly names this “funnel hacking”. It’s simply finding out what has made them successful. This is why I don’t recommend you try and be “better”. Its better to be different, than it is to be better. This is a critical law of marketing… And why your ‘uniqueness’ needs to stand out. Now, its time to build your audience and have the engine set up to sign on new clients each week. This starts with you attracting the attention of your perfect clients and giving them value first. This first step; gets them to know you actually exist in the world, and then gets them to take notice of you and to see you as the person that can give them the help and answers they need to get the results they want. By having a defined niche, and target client that you are wanting to attract and work with. You can truly understand their fears, problems and solutions they need. This is where the power of content is going to give you the shortcut. For example… Lets say that your niche market is corporate males that want to get lean. You can quickly and easily then decide on at least 3 major pieces of content you can produce, that we call ‘pillar posts’ that will talk directly to their problems and give them an easy to use solution. The aim here is not to just get them interested. It is to get them consuming your content and then taking action on it. I want all my readers and followers of My Body Blends to use the content I produce so they can lose weight and get in great shape. And you should want the same for your followers. Content Production and Content Distribution. This is the process and system you need in place so that you are 1) producing content on a consistent basis and 2) producing high quality content. Very few people are able to just sit down without prior thought and write a great article. Or turn the camera on and shoot a great video. I would much rather have a system in place that takes all the stress out of it and also gets you only working on the parts that will bring your business the best results. To start off with we use an Editorial Calendar – Simply a document that outlines; what you will be producing, when. The working headline of the content – so you can maximize people clicking through and consuming your content. Date of creation – When do you have the planned time to prep, research and produce the content. Date of publication – we like to have a library of content up our sleeve so there is no stress of having to produce something last minute to get out. Who’s creating and editing it – You can bring team members on that can do the entire content production for you, or at least parts of it such as; proof reading, editing or publishing. If you think you can skip putting in the small effort in having an editorial calendar. Don’t worry, I was the same. But when I did start to use it, and now have numerous coaches using this system. You will never go back! Now that you have created the content, you need to get as many of the ‘right’ eye balls consuming it. Making sure that it goes to your target clients, and then they can be taking the next steps you want them to be. This is an entire module of the coaching program, but put simply you need to know what platforms and how are you going to share your content out to maximize its effect and minimize your manual time you have to put in. You shoot a 10-minute video and post it on your YouTube channel. You cut your 10min video into a 1-minute clip. You post your 1-minute clip on Facebook and in the status link to your website for the full video. You post your 1-minute clip on Instagram and in the status link to your website for the full video. Just there you’ve started with one main piece of content and now have 5 platforms that are driving maximum exposure for you. Different people consume content on different platforms. This maximizes your visibility. You can also see how this works in real-life in THIS coaching session. There is no doubt that social media is the 800 pound gorilla, and you need to straddle its power to help excel your business. Better yet, you need to know how to deal with social media properly so that you can be getting new customer and clients constantly and not just wasting your time. My recommendation is that you first choose 1 platform that you are going to focus on. For the next 90-days you are going to put 90% of your social media efforts towards this one platform. You can choose this by connecting; what do you enjoy using, where does your market hang out and what type of content are you strong at producing. The next step is starting the behaviour and the habit that is going to have you creating and publishing the content on a frequent basis. If you’re just starting off then I would recommend you go with just one post a day. Though make it absolutely phenomenal content. There is no room for average or being just plain old vanilla. You need to stand out, and you are going to stand out and attract your clients by giving great quality value. Just like you did with your content production with step 2 – you need to then create a plan of action of what content you’re going to produce. There is no mistake that both steps that are to do with content and how you get noticed and attract clients, are side by side at the very start of the process for you to create the business you want. One of the most important pieces to my business, and all the other coaches agree once they set this up… is the Editorial Calendar. Not only does it make it super simple to pump content like a machine, but it takes all the stress out of it. 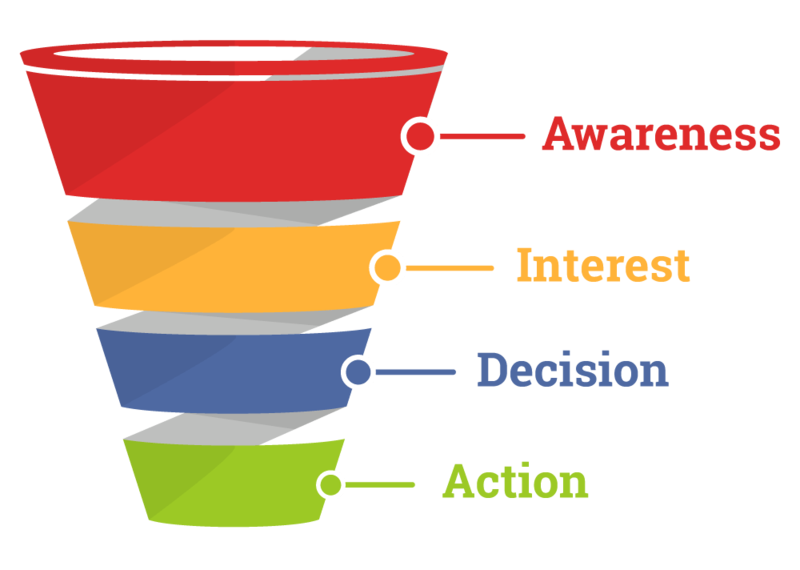 Your sales funnel is simply the set of steps that you have so that someone can build a relationship with you, like you, trust you and then be properly informed and in the situation so that they can make a buying decision. 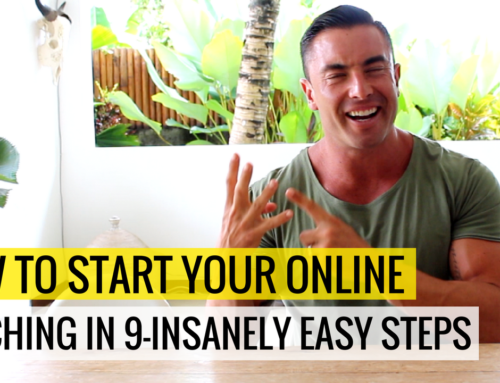 And by properly putting these steps back to back in an easy to flow funnel, you will have an engine that is connected from step 1 to step 7 so that you are signing on new clients each week because they are coming to you – and the hard work is all automated. It’s not necessary or what’s needed to get started! 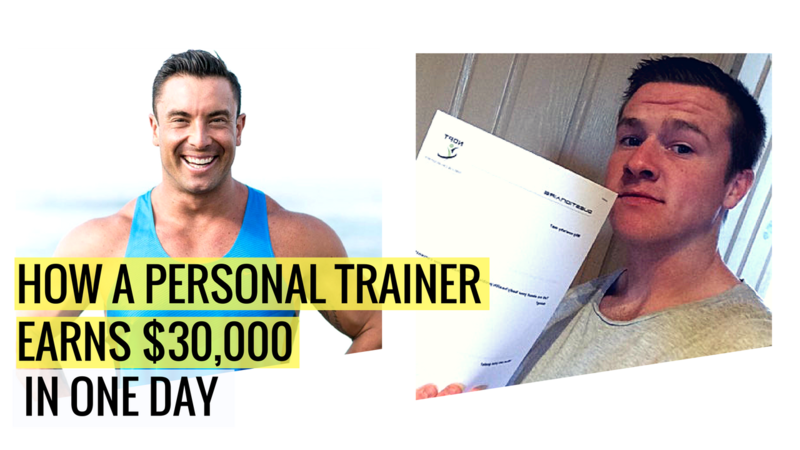 Let’s use Tyler as an example that is signing on $1000 per month online coaching clients within weeks of starting. Produce high quality videos that are directly talking to his target clients, their problems and giving them real solutions they can use straight away. Drive them from the content into a free private Facebook group that he runs. Each day give even more great quality value by producing more content and helping directly the members in his private Facebook group. 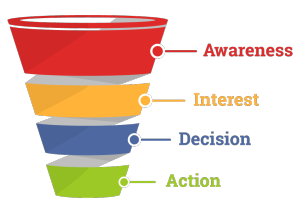 A little more advanced example of how the ‘sales funnel’ can flow. Produce a short video that talks about his target clients’ problems, how his coaching program solves these, who the best fit is for the program and how they can sign up. From this they are then signing on into his coaching program! We talking about it HERE as well. Most trainers think I’m crazy when I first walk them through this. 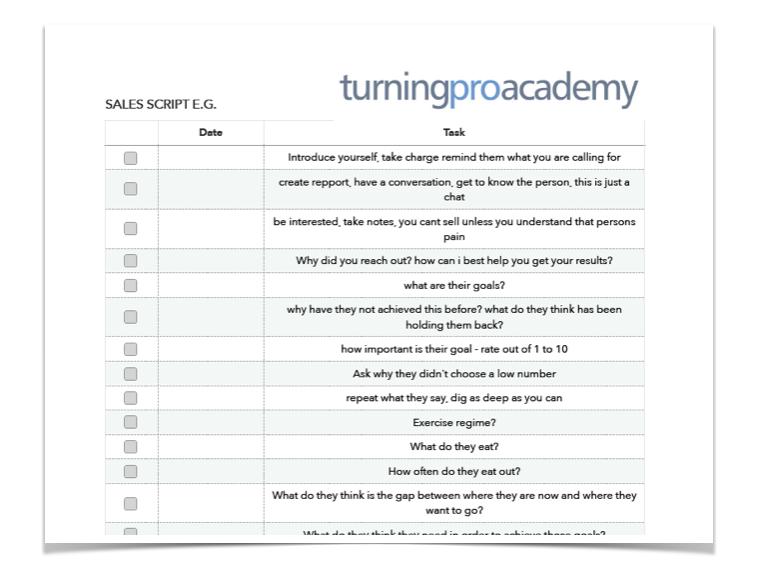 As it’s about creating your sales copy, before you even create your program or service. Writing out your sales pages, your copy, shooting your sales video… or however you’re going to set up your sales funnel. Before creating your product. Ultimately, this is going to give you the direct insights and material to truely create the perfect product your market wants. Answer This: What is the flow of steps someone needs to go through, to then properly decide that you are the trainer/coach/health professional they want? A landing page where you give a free (lead magnet) workout/diet/cheat sheet/consultation. A sales page outlining what your program is, who its for, how and why it works and how people can join. A series of videos giving answers to your markets key problems that then lead into Step 5. When you create these first, you’re going to importantly have a true understanding of whats needed from your clients point of view. Plus, you can focus on signing on clients first, getting a ‘market match’ and create profits – so you can then go to Step 6 and create your program. What is the final step someone needs to go through to then become your client? …And if this a trusted process that you can replicate at least 9 times out of 10? Snap shot of example worksheet to creating your own “client sign on process”. You give a potential client 1 or 2 free training sessions, or even just a free weight loss consultation so that they can ‘taste test’ you as a coach. This is where your voice changes, you get nervous and you’re not to sure of what to say. This is where we can set this up drastically different so this never happens to you again. Instead we have a simple connect the dots conversation. You find out whether or not this person is the right fit or not for your coaching program. If they are, you simply walk them through how it works and what it is they should expect from being your client. And then simply walking them through how they sign up and what the next steps are from here. Then you have a new client. And when it’s a process and a system you can trust this can be done 9 times out of 10 without any of the awkward conversations again. What do you give them? Meal plans, workouts, skype calls? This is where you need to truly craft what it is that your clients need to get the best, easiest and fastest results. Not just regurgitating what others have been doing. When do they need to be given, whatever it is that your coaching entails? Do you need to give them everything at once all up front, or do you need to drip feed the information out into bite size pieces to help them walk the path. When you create your program to do what’s needed on auto-pilot, you’re going to save yourself 100’s of hours per year. It gets the clients the best results. You can never short-cut this, you need to deliver a truly valuable experience. It needs to minimize your manual time input. 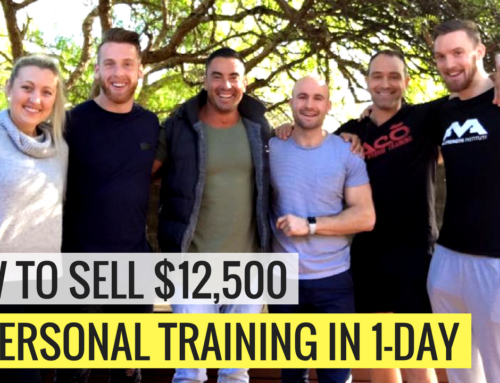 What’s the point of creating your program to be so time intensive on your behalf that you can only have a handful of clients at once putting a ceiling to your income and success. It needs to maximize profits. But, once they finally start buckling down and tracking their business numbers, something ‘magic’ happens. And the reason so many health pro’s fail at building their dream online business, and fall back to the ‘old way’ which was where they we’re stuck in the first place. Is because they stop just short. All you are looking to create is a predictable sales funnel that week in, week out brings in new leads, grows your following and turns them into ravings new clients. And to create that you need to know where are your weak points to patch the holes, and what’s working so you can double down on it. But, the truth is… This IS NOT going to happen over night. This is the best time of year to be setting all of this up. 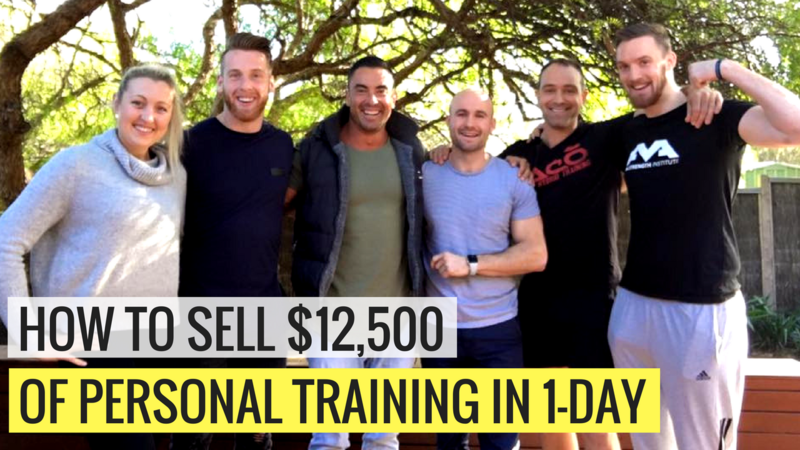 And as I’ve just shown you, you can get all of this set up and literally be going from nothing to; attracting followers, singing on clients and delivering great results in under 90-days. Or… if you’ve already started and you just need to ‘crack the code’ to open up the flood gates to having a steady flow of new clients these above steps are exactly what’s needed. Its time to find out exactly what you need to be doing so that you can wake up each morning and know the few key things that you need to do to accelerate your business and without any of the confusion. 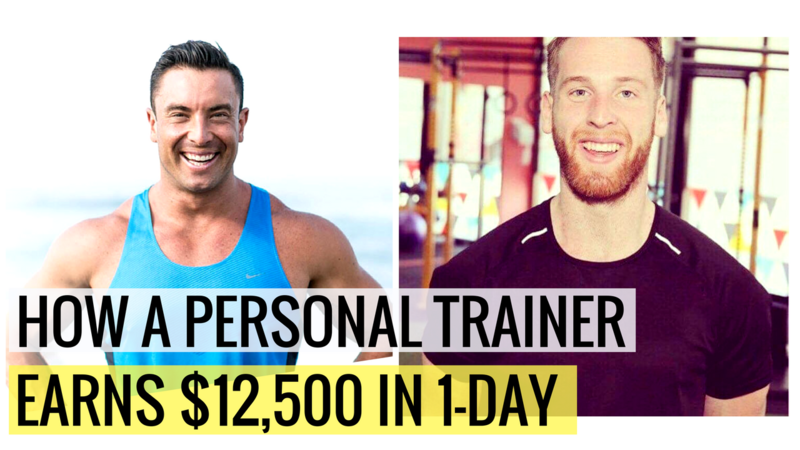 You can get FREE access to coaching session walking you through step-by-step what you need to do to build your own “ultimate fitness business” HERE. This is also why I’ve opened up some slots for serious trainers and coaches to apply and book in for a 1-on-1 consultation with me. I’ll personally jump on skype with you to find out exactly where you and your business is, and map out what major steps you need to be taking straight away. Now there is only one of me, and there’s limited spots available. So don’t twiddle your thumbs and miss out. Click HERE to see everything in the 90-Day program, and apply for your 1-on-1 call to find out what you need to be doing.